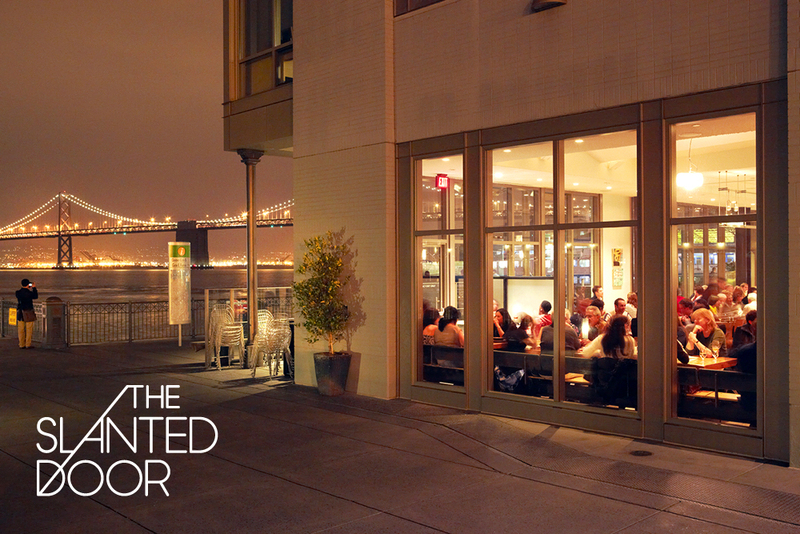 Today we are going small and local… Established in 1995, The Slanted Door, located in San Francisco, CA, is one of the most renown Vietnamese food restaurants in the country. 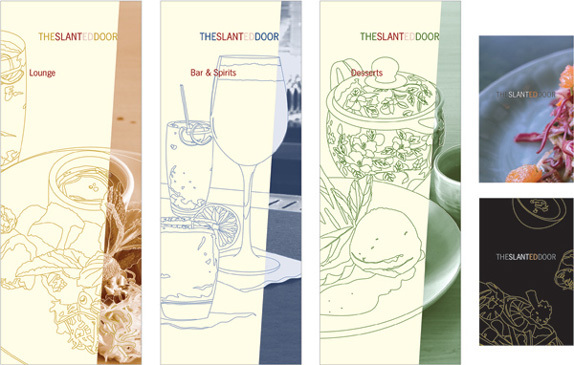 Led by James Beard-nominated chef Charles Phan, The Slanted Door has grown from a hole in the wall establishment to a posh spot in the foodie-friendly Ferry Building and is the center point of a family of four restaurants under The Slanted Group Door umbrella. 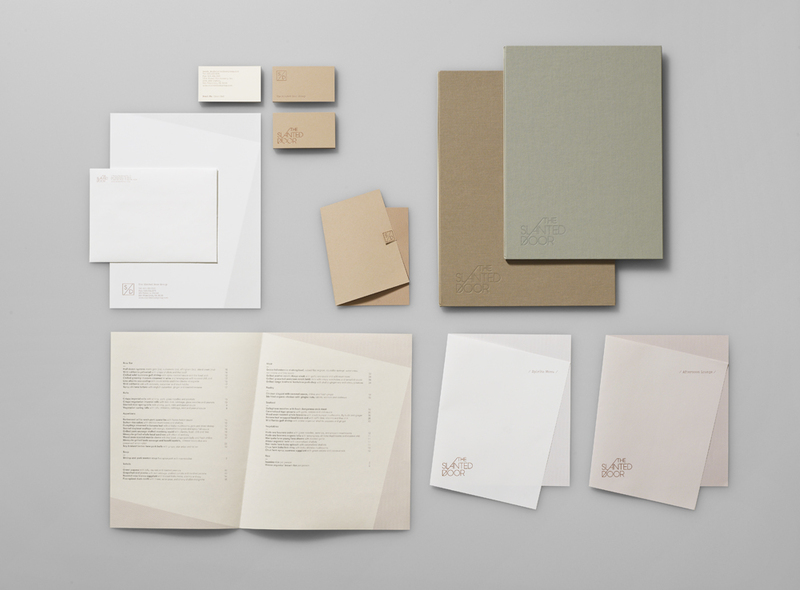 A new identity has been designed by San Francisco-based Manual. 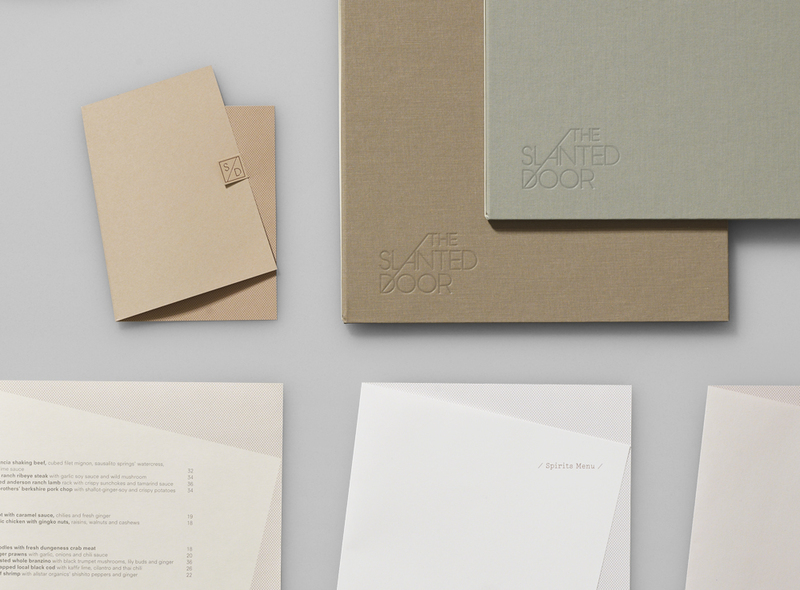 We developed a logo and associated visual language that was as modern and sophisticated as the restaurant’s food. 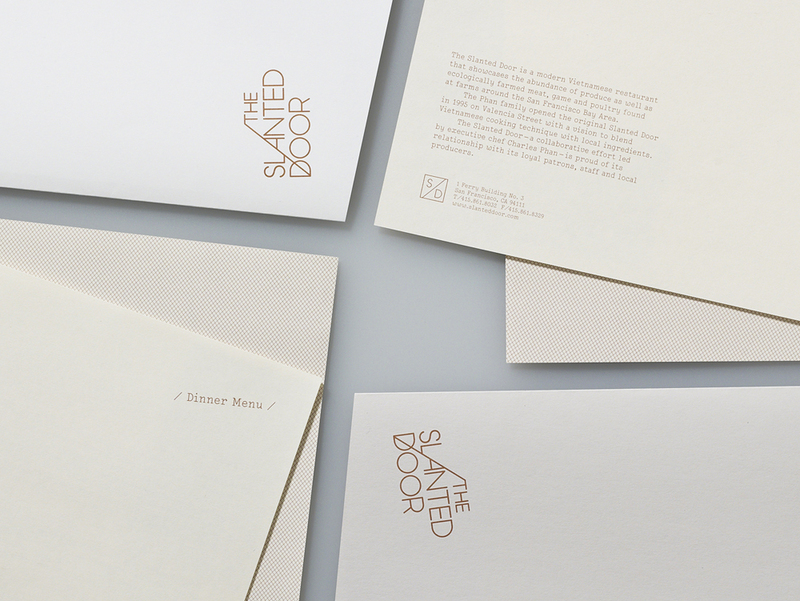 The resulting mark references the ‘slanted’ aspect of the name and utilizes a single line to bring a distinct and memorable element to the identity. 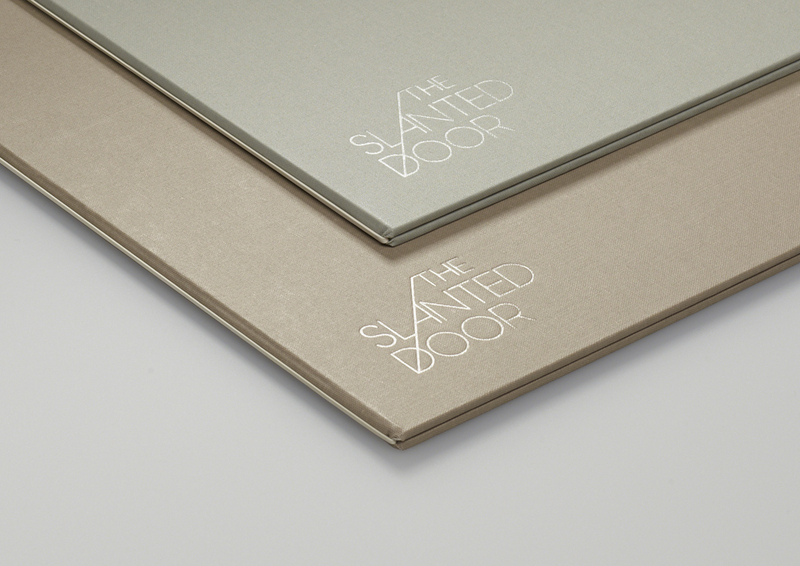 With family being a core value of the Slanted Door group, this unifying line also conveys the notion of connection. 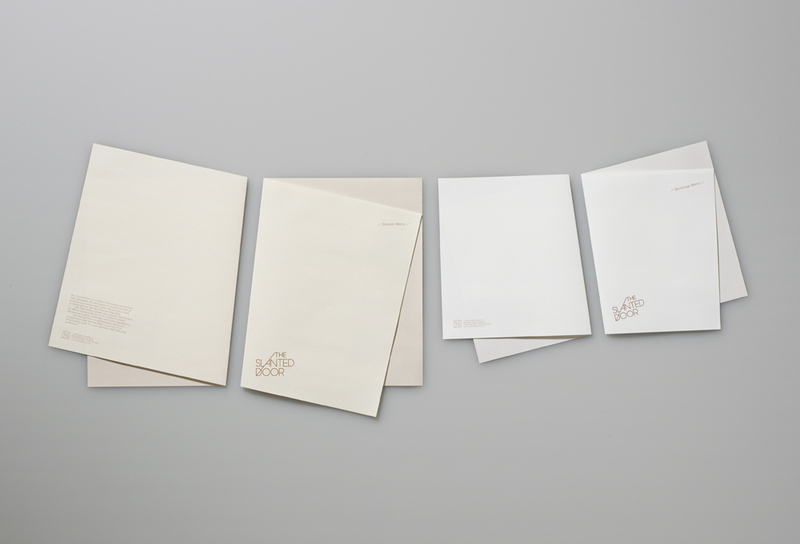 A supporting monogram is used as a sign-off, bearing resemblance to a nautical flag — a fitting connotation given the restaurant’s location at the water’s edge. 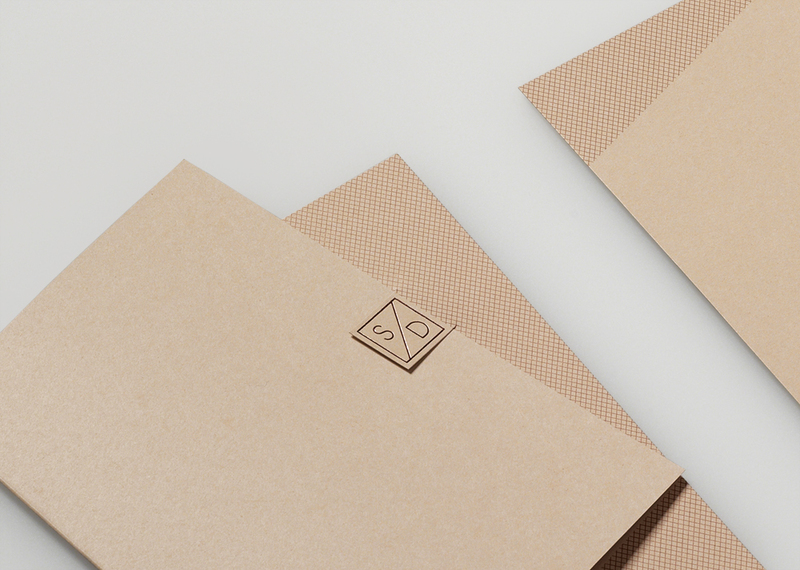 This monogram is used as a supporting sign-off on branded items, and is also used to represent the umbrella company The Slanted Door Group. Sample of the previous look. The previous logo, apart from being almost a non-logo, was somewhat confusing, highlighting “ED” above anything else and the old menus didn’t quite make justice to the $11-cocktails or $50-plus-wine bottles available. 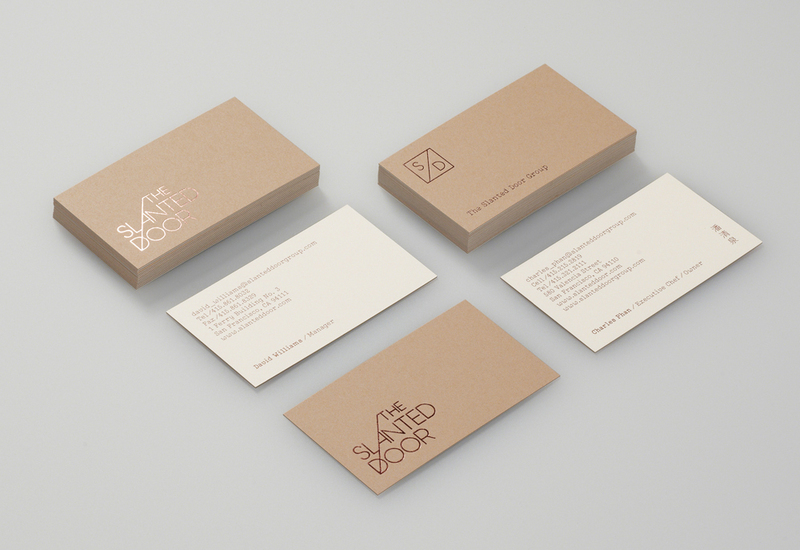 The new logo is an elegant, Lubalin-esque solution that, if not entirely perfect — the tracking feels a little tight and I wish the diagonal line connected in a smoother way with the “THE” on top — conveys a better sense of upscale dining and the uniqueness of the restaurant. 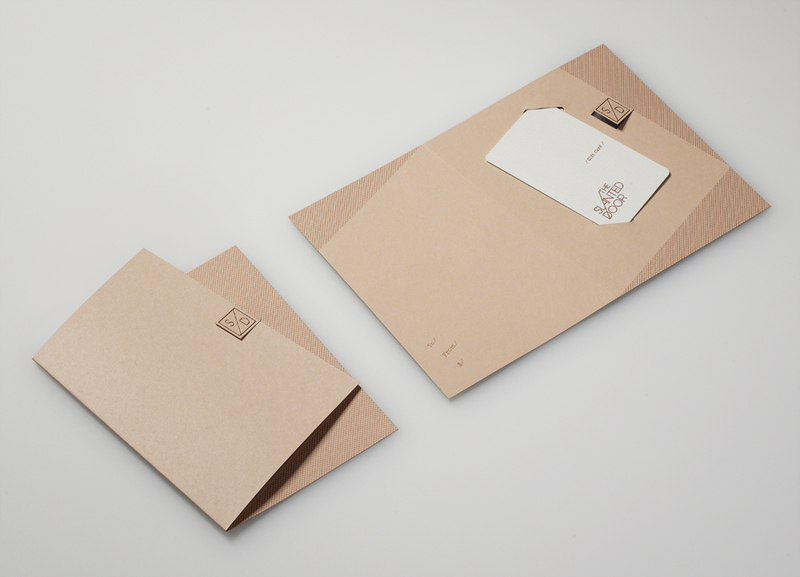 Where the identity really shines is in the applications, relying on a simple trick of a diagonal line dictating where and how things fold and letting the materials carry the sparely designed elements. Overall, a very effective, needed, and appropriate redesign. 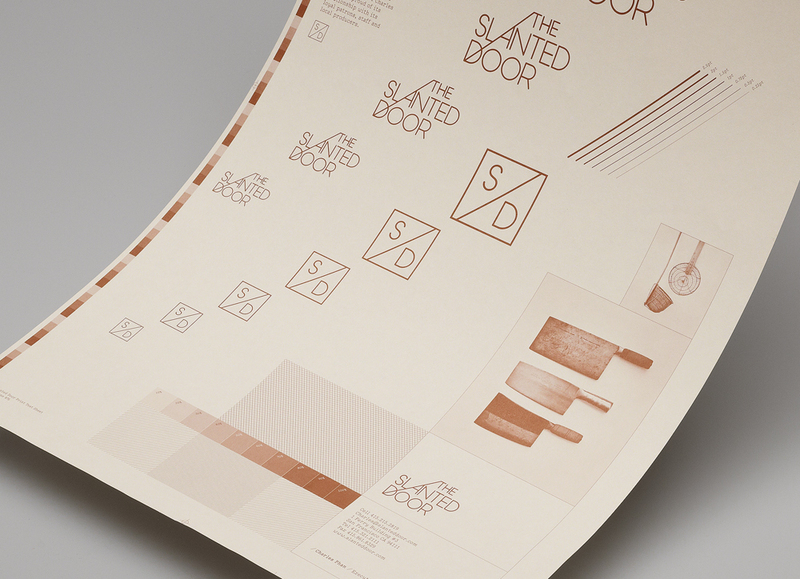 The identity is applied in copper ink and foil across a muted, sophisticated color palette. 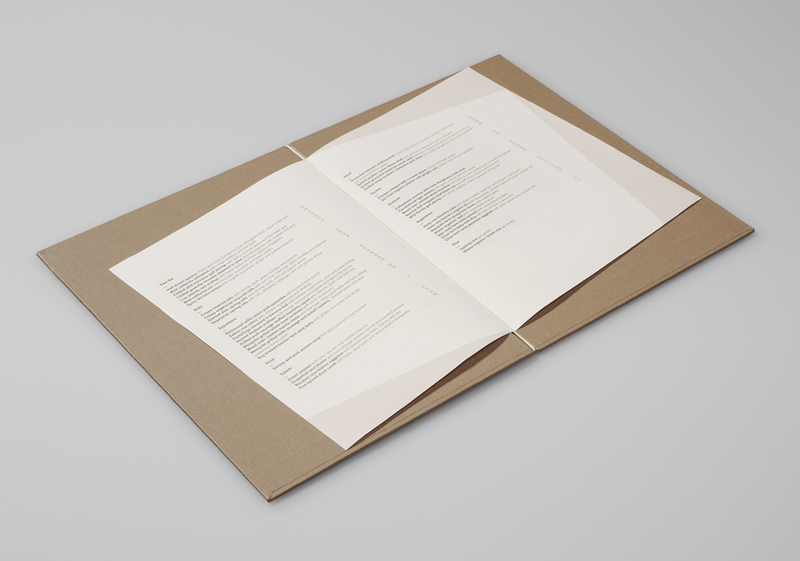 All paper menus fold at an angle, providing a simple, unusual touch.